Reading, MA – Reading Cooperative Bank is pleased to announce the promotion of 15-year veteran and current High School Branches Manager, Mike Foley, to Assistant Vice President. Mr. Foley has been responsible for writing and teaching the Retail Banking curriculum at Reading Memorial High School (RMHS) and has fostered a close-knit relationship with the school’s administration and students. He’s also an arbiter of goodwill in the community, most recently serving on the board and as president of the Reading Education Foundation. Mike has earned the respect and admiration of Reading parents who have watched their children learn a great deal about banking, financial literacy, and working in a business environment while working with Mr. Foley. The RMHS Branch is now in its 10th year of operation, and, together with RMHS and RCB, recently commemorated this collaborative milestone. In addition to job opportunities at the branch, each term, the school offers an elective course in the branch for students who are interested in gaining insight into money management. Many students have attributed their financial knowledge to Mr. Foley and his guidance while working at the RMHS Branch. Last June, Mr. Foley spearheaded the effort to host a financial fair for the RMHS juniors. Like the in-school branch, the fair is a teaching device to give students a real-world glimpse into the financial situations they will soon encounter. “Mike truly exemplifies RCB’s quality and commitment to our communities,” says Vice President-Branch Administrator, Teresa Cunha. “His creativeness and passion for financial literacy have made RCB a leader in this area.” Others at RCB and RMHS cite his leadership and developmental qualities as deserving of the promotion. 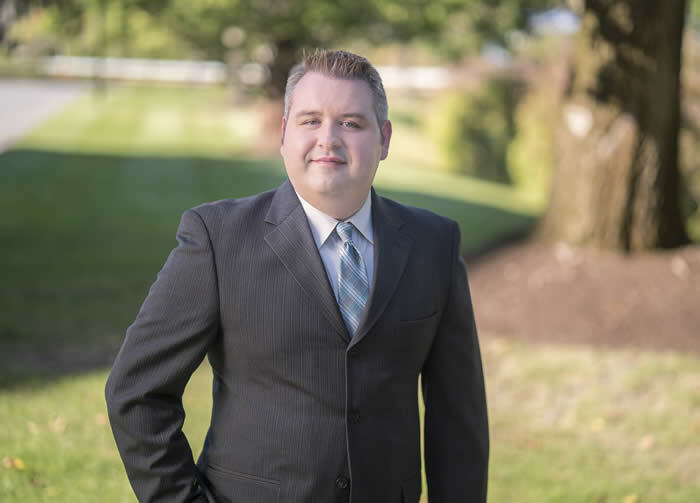 Mr. Foley started working for RCB in January 2002, as a part-time teller before ascending the ranks to full-time customer service representative and assistant branch manager prior to accepting the position as Branch Manager at RMHS. In September 2016, with the opening of RCB’s second educational branch at Northeast Metro Technological High School in Wakefield, Mr. Foley was given a second branch to manage. He has also spent the last few years training RCB’s retail employees on various areas of the bank and our systems. Reading Cooperative Bank is a depositor owned co-operative founded in 1886. This community-centric North Shore financial service provider has branches in Reading, Wilmington, North Reading, Woburn, Andover, and Burlington. They also operate teaching branches at Northeast Metro Tech in Wakefield (open to the public) and at Reading Memorial High School (students and staff only), as well as an online branch at www.readingcoop.com.